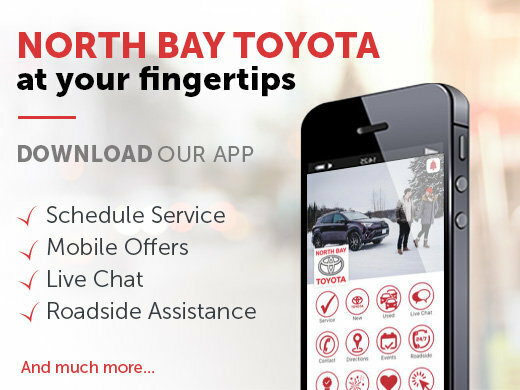 North Bay Toyota is now at your fingertips! Introducing North Bay Toyota's new mobile app. Get access to unbeatable deals, impeccable service, loyalty reward programs, and an unrivaled inventory of Toyota vehicles from the convenience of your iOS or Android device. Download the app, create your profile and take advantage of these offers today!